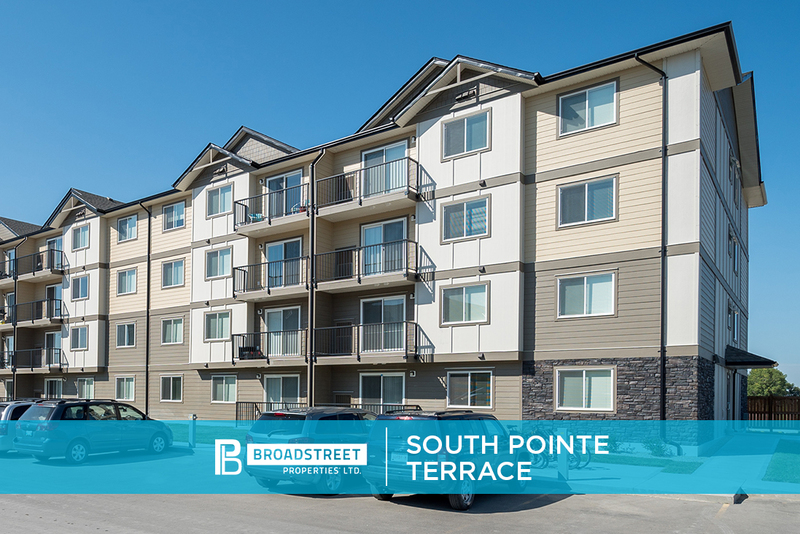 Broadstreet's South Pointe Terrace offers 1, 2, and 3 bedroom pet friendly apartments in the southwest Winnipeg community of South Pointe, on the tip of Waverley West. This modern apartment community sits close to numerous grocery stores and shopping centres, as well as excellent local schools and green space. For students and sports fans, the University of Manitoba and the Investors Group Field are just 5 minutes away! Inside your spacious, open-concept apartment, you'll feel at home with in-suite laundry, large closets, and a private balcony or patio. Meet other pet owners and get your dog some exercise at the nearby Maple Grove off-leash Dog Park along the Red River. Or, simply enjoy the surrounding walking paths and parks like Kirkbridge and Bairdmore, right outside your front door. At South Pointe Terrace, you can take part in some of the best apartment-style living in Winnipeg and enjoy an abundance of nearby amenities.